This eye catching, elegant and functional hound collar is a perfect everyday collar for stylish hounds. Our own exclusive design that has been very popular since our launch in 2006. 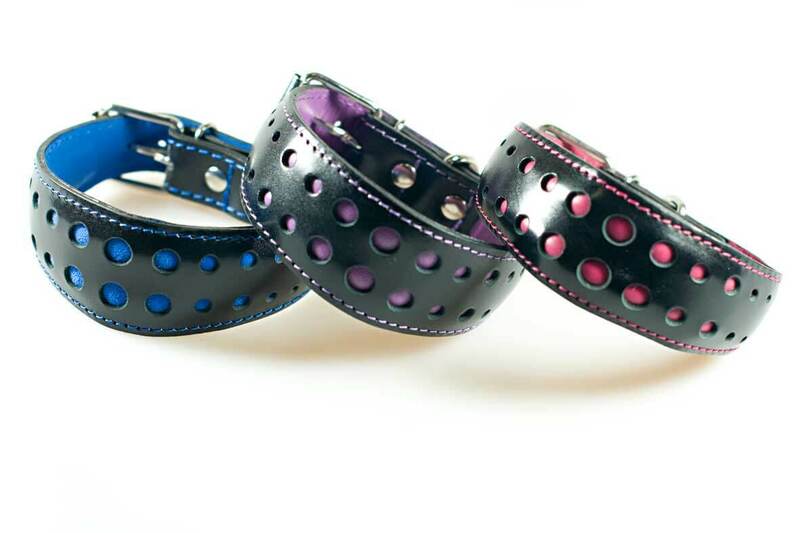 The ever blue collar rows of bright blue dots with black leather and matching blue stitching. 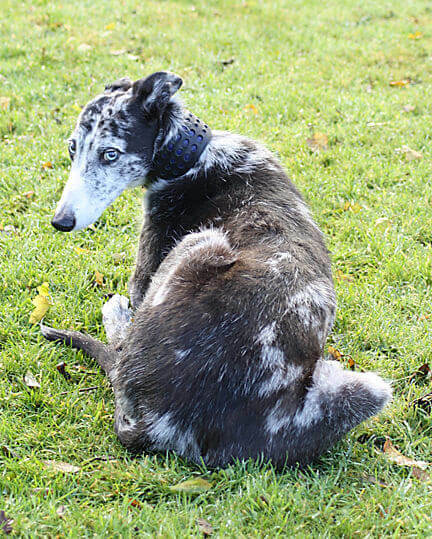 As one would expect from all Dog Moda hound collars it is fully padded and lined with soft blue nubuck leather for ultimate comfort. Decorate your hound's collar with one of our exclusive collar tassels. Dog Moda tassels are designed and handmade exclusively by us in the UK. Excellent site. I am so happy with the Elegant collar which I bought in black with blue trim. The leather is very good quality and is comfortable for my dog to wear. The collar arrived well packaged and promptly and a query I had regarding delivery was dealt with very satisfactorily. 10 out of 10 I would have no hesitation in recommending Dog Moda. I just wanted to say thank you for the two collars that arrived today (Elegant Blue & Orange Rhombus). They’re such great quality, perfect size (not too wide or too much padding) and they absolutely look super on the hounds! Thanks also for such a fast efficient service and for the two freebies! Just to say the lovely collar I ordered arrived today, size is correct (thanks for advice!). Toby looks even more handsome now!